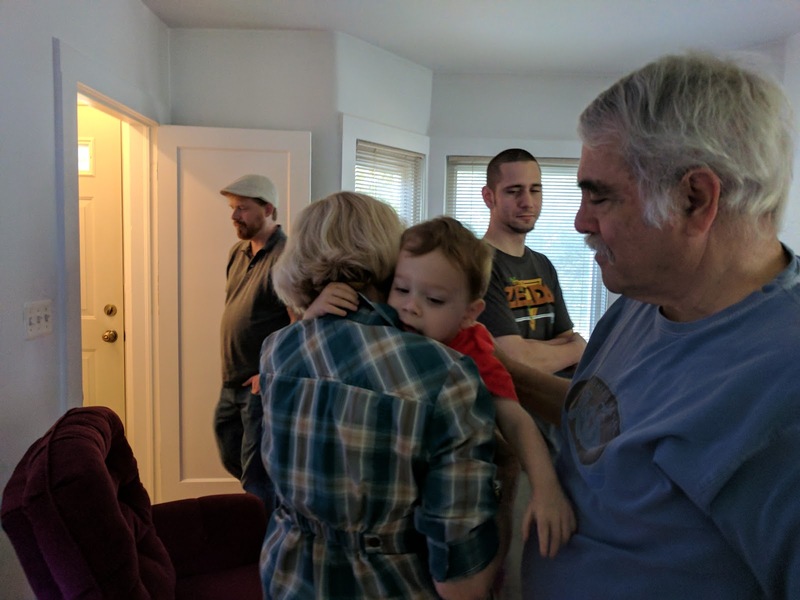 We visited my parents and brother this afternoon. 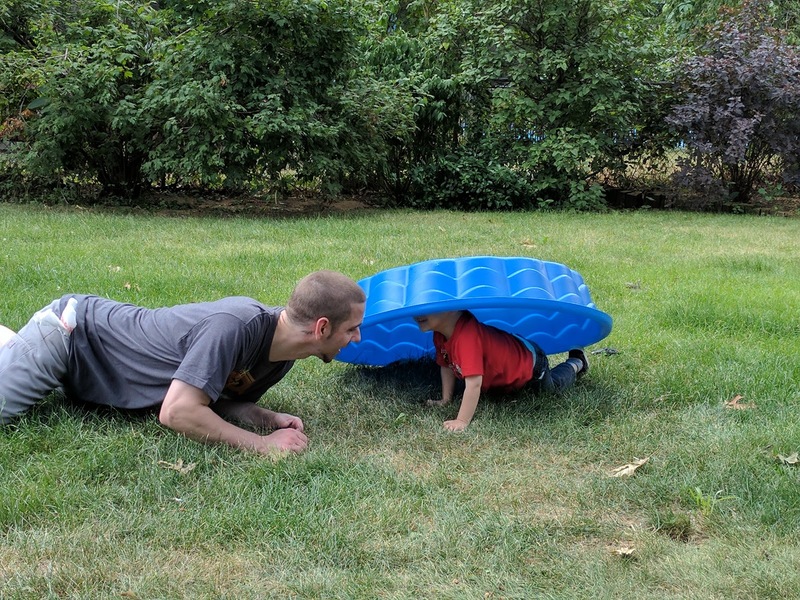 Quinn had a great time hiding under his swimming pool. 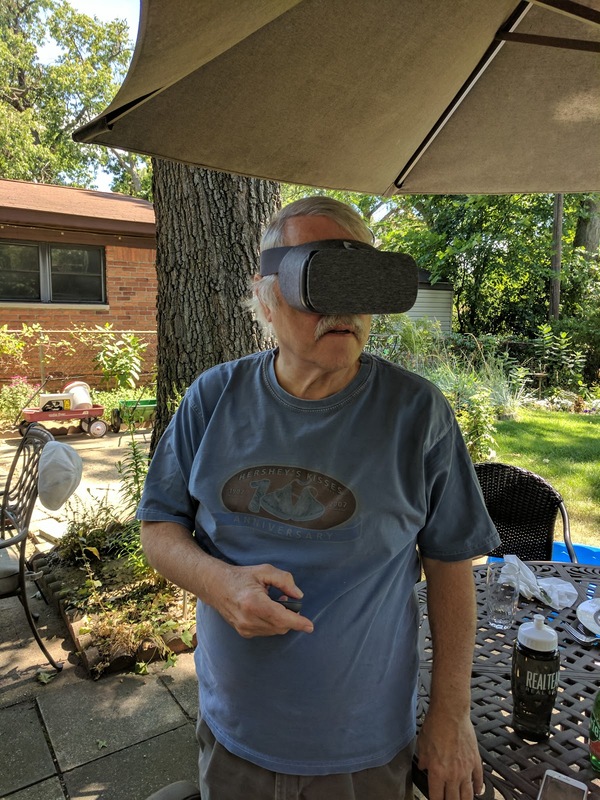 And Chris showed my dad VR with his new Daydream headset. 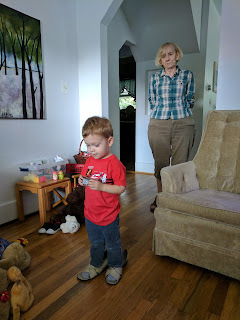 The little guy found my mom's old shoes and wore those around the house. This kid loves to put on all kinds of shoes. 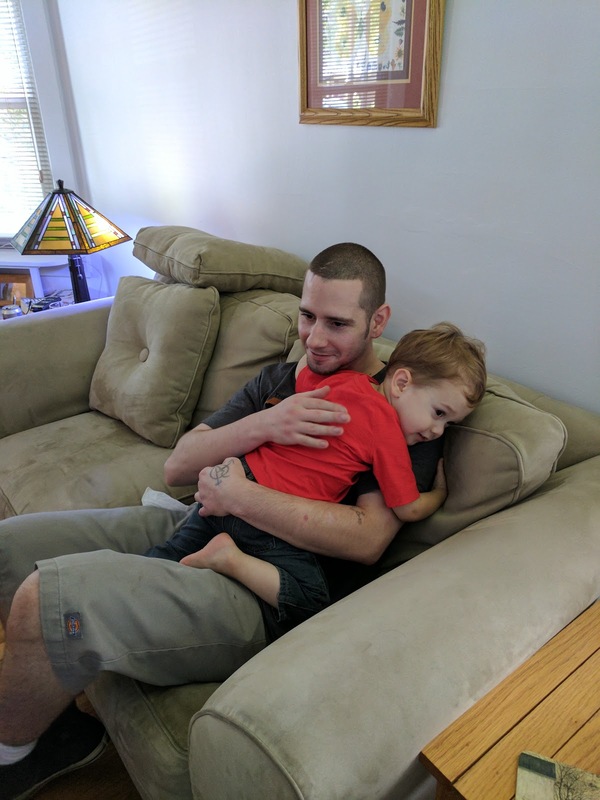 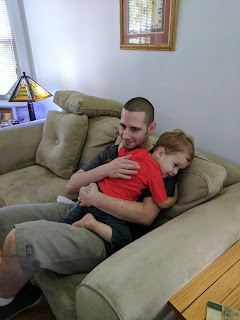 ...but he loved cuddles with his uncle.